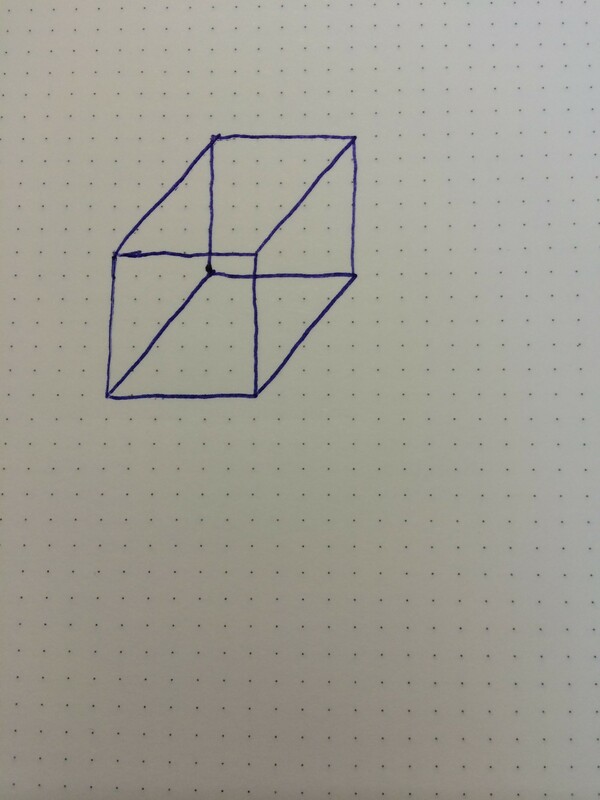 I learned to draw this hypercube from Rudy Rucker’s Geometry, Relativity and the Fourth Dimension. I highly recommend this book, and wish I had read it as a high school senior or college freshman. 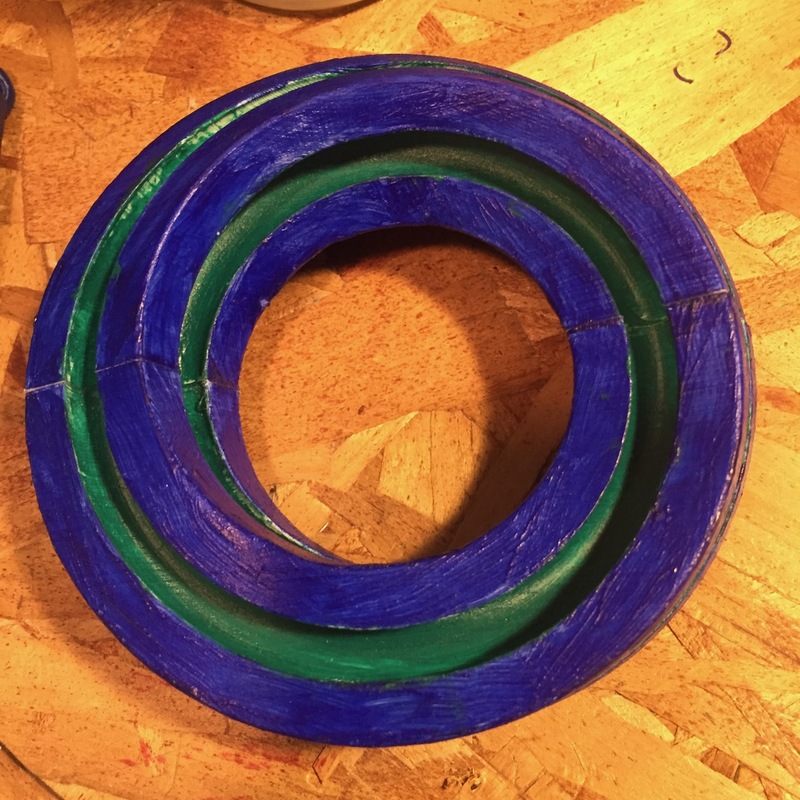 That’s pretty easy. 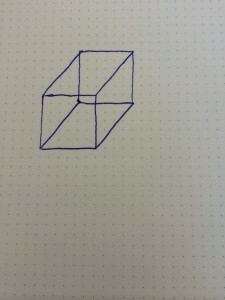 I’m using grid paper here, but if you have a steady hand and a good eye, you don’t need it. 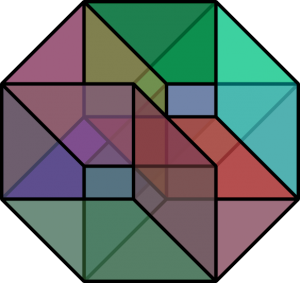 Especially notice the position of the squares that make up the the “front/back” portion of the second cube. 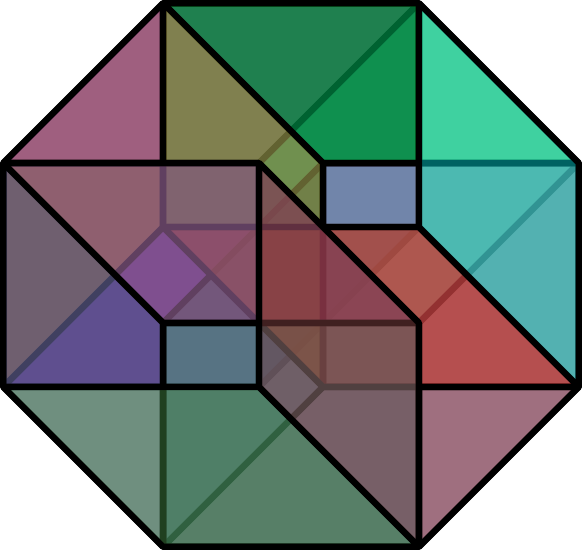 Make those squares overlap the the squares from the first cube in the same way. 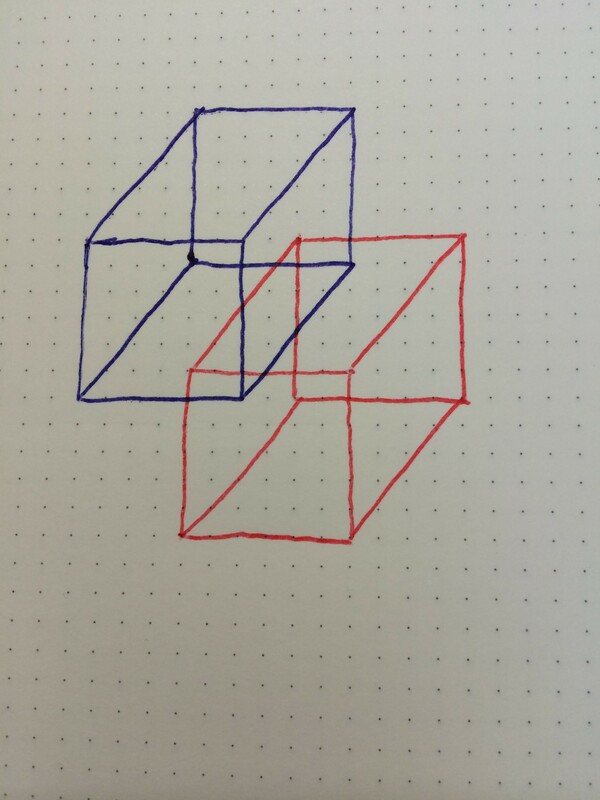 This can be a little tricky at first, but use a different color to draw the second cube, and it will be easier. 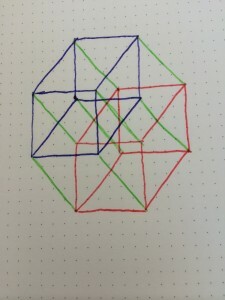 I’ve used a third color to connect the corners. 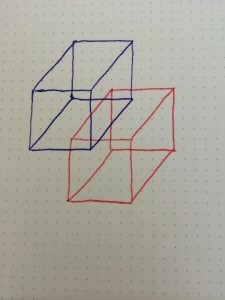 This can get confusing, but just focus on one pair of corners at a time. 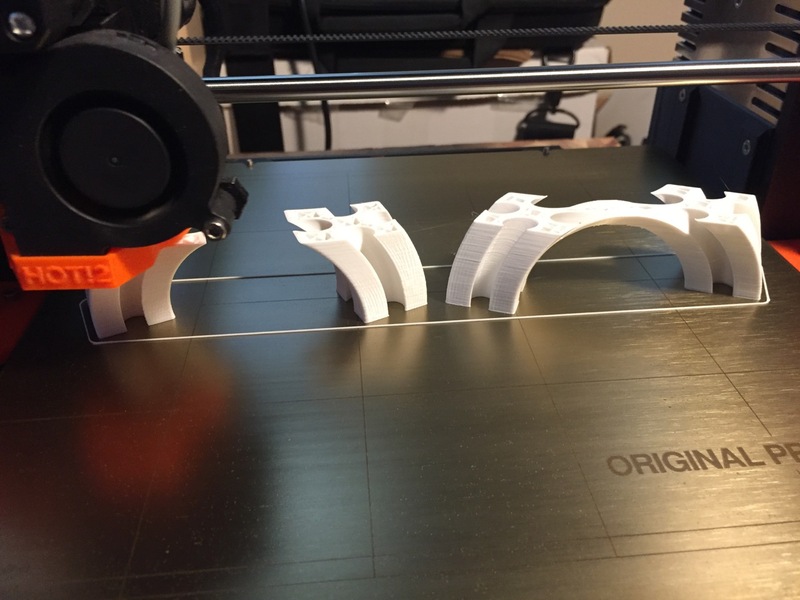 The outside corners are the easiest, so start there, and that will give you a way to proceed with the more overlapping parts. 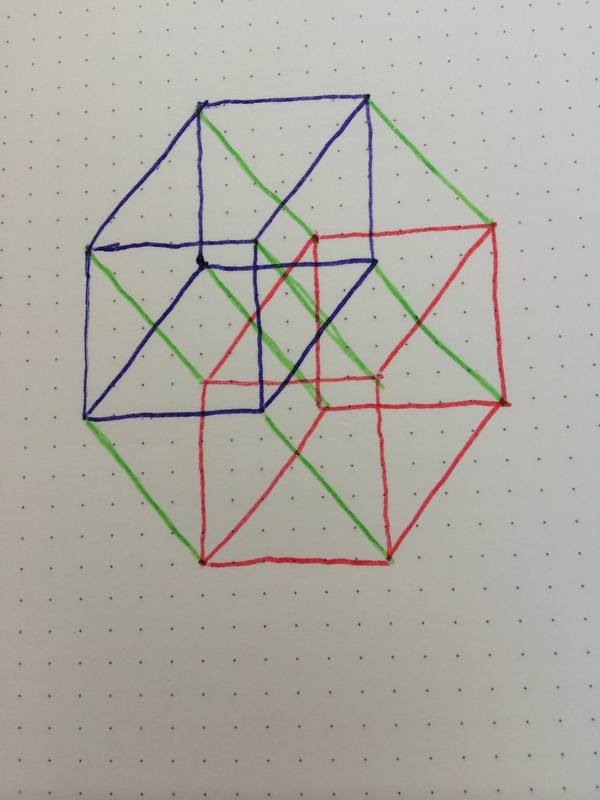 One fun way to get lost in this figure is to try to count all the cubes that make it up.